Our mission project for 2018 is to support the Asylum Seekers Centre in Dandenong. This centre is funded purely by donations and support from church communities primarily in Victoria. 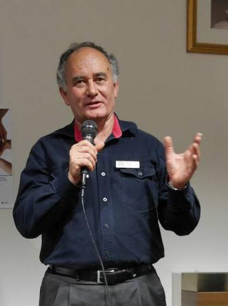 On the 12th August the parish will be hosting David Spitteler who is the director of the Asylum Seekers Centre and it is our goal to fill a 6 X 4 trailer with groceries to send back with him. We look forward to any support we can get in meeting this goal. All are welcome to come and hear David at Holy Trinity at 8.00 and 9.30 and at St Aidan’s Swanpool at 11.15 on Sunday 12th August.